Hello, Tuesday! Thank goodness Monday is in our rearview. I'm sorry I didn't get the weekend recap up yesterday but to be completely honest, our weekend wasn't overly exciting and I didn't have much to share. Plus, I spent a good bit of time on the computer working on a design project for a sweet friend and I just didn't have it in me to draft a new blog post Sunday night. My sincere apologies! We had a pretty ordinary weekend which consisted of Mexican food, a little shopping, errands, church and some pool time. We welcomed this laid back, uneventful weekend, especially after all the fun we had last weekend. So instead of a regular Weekend Round Up, I thought I'd bring you a recipe. I received a few emails about last weekend's Sip and See and the appetizers served. 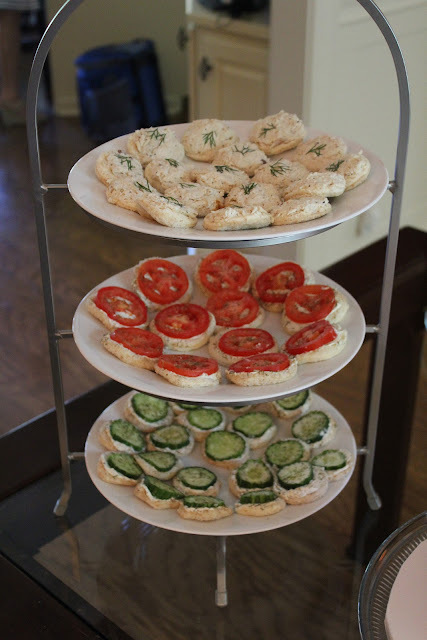 Although I didn't help prepare any of the food, I have made these tomato and cucumber sandwiches for a few showers in the past. There's nothing more Southern than these darling little nibbles, especially in the summertime! then lightly dampened paper towels to keep sandwiches from getting soggy or drying out. There you have it! Perfect for a shower, Sip and See or to share with friends. Super easy, really delicious and oh-so Southern! 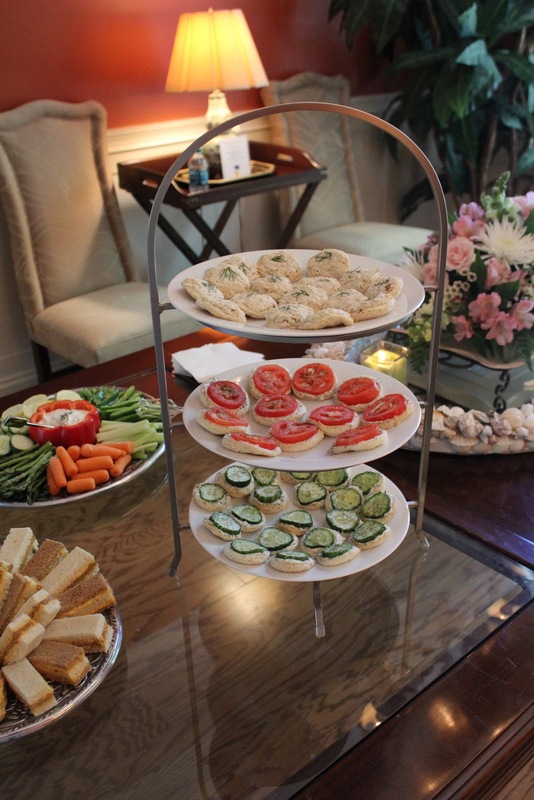 Cucumber sandwiches are one of my favorite foods in the world! No shower is complete without them :) Thanks for sharing your recipe! They look like the perfect little bites! I think the cucumber version is going to go in 2 little lunchboxes this week;) Glad you shared this!